There are plenty of great electricity deals on offer in Queensland, but there are a few things you need to know about electricity before you start comparing, beginning with ‘tariffs’. Tariffs essentially determine the way you’re charged for electricity, so it’s important you find the right tariff to suit the needs of your home or business. In this article, Canstar Blue walks you through everything you need to know about electricity tariffs in Queensland, including a breakdown of different tariffs and how to spot a cheap tariff to reduce your overall power bill. A ‘tariff’ is the term used to describe how customers are charged for their electricity usage. You may pay the same rate for all electricity usage, or you might be charged different rates depending on the time day. You could even be charged separate rates for using different appliances in your home. These are all examples of electricity tariffs. What electricity tariffs are there in Queensland? Electricity tariffs are determined by electricity distributors. These are the companies responsible for building and maintaining the power poles and lines that deliver electricity to your home or business. There are two electricity distributors in Queensland, Energex and Ergon Energy. Energex services south east Queensland, spanning from the NSW border west to Toowoomba and north to Gympie. Ergon Energy is the regional distributor, supplying most other areas across the state. Supply charges are what you will need to pay every day, just to remain connected to the electricity grid. This is a daily charge of usually around $1 per day in Queensland. Usage charges are what you actually pay for the power you use. As we will explain, usage charges can vary significantly depending on the type of tariff. Some customers will have a single rate tariff, meaning they will always be charged the same usage prices, while others be will charged differently depending on the time they use power. In this case, customers will be on two-rate, or multi-rate tariffs. The following tariffs are applicable to households across Queensland, whether you live in Brisbane, the Sunshine Coast, Gold Coast, or way up north. For those living in south east Queensland, tariff rates on your bill are set by the energy providers. If you live somewhere else in the state, your rates remain regulated by the Queensland Competition Authority. Customers in south east Queensland are free to choose their electricity provider. They can also choose from four residential electricity tariffs – tariff 11, 12, 31 and 33. There are also additional demand and control tariffs for customers with smart meters called tariff 14 and tariff 35. Due to the low uptake of smart meters however, only a few retailers currently have them on offer. Keep in mind that retailers may refer to these tariffs by a variety of names. While we go over some of these other names, it’s important to check the tariff with your retailer so you know what you’re signing up to. This table is representative of typical price ranges that Energex customers pay on select tariffs. You should contact your retailer to confirm your own rates and charges. This is the standard residential tariff and is available to virtually all Queensland households. With Tariff 11, customers are charged the same usage rates for electricity regardless of the time of day they use it. This rate should usually cost between 24 cents and 28 cents per kWh, depending on your provider. If an energy price factsheet describes a tariff as ‘Domestic’, ‘Peak’ or ‘Standard’, it’s most likely referring to Tariff 11. This tariff won’t necessarily give customers the best value, but it’s a safe pick for anyone unsure. For the cheapest prices, look for Tariff 11 usage rates of 24c per kWh or less. Here is an example of what SE QLD households can expect to pay if they have a single rate tariff. These are some of the cheapest published deals from the retailers on our database that include a link to the retailer’s website for further details. These costs are based on a typical three-person household living on the Energex network in Brisbane, but prices may vary depending on your circumstances. Use our comparison tool above for a specific comparison in your area. These are featured products from referral partners. Our database may not cover all deals available in your area, and please check retailer websites for up to date information. Customers on this tariff are charged a different usage rate depending on when they use electricity. This is broken into three time periods that loosely reflect the electricity demand at that time – Peak, Off-peak and Shoulder. Peak (Weekdays 4pm – 8pm): This is when electricity is in peak demand and therefore most expensive. 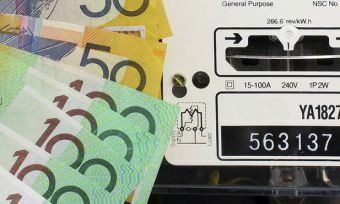 Peak rates in Queensland generally cost around 33 to 35 cents per kWh. Off-peak (10pm – 7am): This is when demand for power is lower and electricity usage rates are cheapest. Off-peak rates usually cost between 17 to 20 cents per kWh. Shoulder (All other times): In between Peak and Off-peak times, a ‘shoulder rate’ is charged. This rate is cheaper than Peak but more expensive than Off-peak, usually costing 24 to 26 cents per kWh. Tariff 12 is often referred to in energy price factsheets as ‘Time of Use’, ‘Domestic TOU’ or some variation. This tariff is most ideal for electricity customers who tend to use a lot of electricity through the day or late at night rather than in the early evening. If you’re a night owl, shift worker or you work from home, a time of use tariff could save you money. Bear in mind that to sign up to Tariff 12, customers must have a meter capable of taking multiple readings. Most new meters, including smart meters, are compatible with time of use tariffs. If you live in an old house with an outdated meter, however, you will need to upgrade before you can get Tariff 12. This is a ‘Demand tariff’, which is new type of tariff only available to customers with smart meters. Essentially, customers receive lower supply and usage charges, however a ‘demand charge’ is incurred in the peak summer months. A demand charge is a daily charge that reflects a customer’s peak time usage in a 30-minute period between 4pm and 8pm. For example, if you’re charged a 20c/kWh demand tariff, and you use a maximum of 3kWh of electricity in a 30 minute period, you will be charged 60c per day. This charge resets every month. This is where tariffs in Queensland get a little confusing. Tariff 31 is often seen on bills as ‘Controlled load 1’, ‘Controlled supply’, ’Night rate’, ‘Dedicated circuit 1’ or ‘Super Economy’. Tariff 31 is a storage hot water system tariff. Electricity will usually be supplied for only part of the day – eight hours. The time electricity is supplied is set by your distributor (Energex or Ergon) and will usually be during periods of low electricity demand. Your hot water system will heat up the water during this time and store it for use later on, taking advantage of the low late night electricity prices. With this set up, your hot water system is metered separately to the rest of the house and customers will be charged the Tariff 31 rate of around 13 to 17 cents per kWh for water heating. All other electricity usage will be charged at Tariff 11 or 12 rates, as one of these two will remain your primary usage rate. Tariff 31 will be most ideal for customers with large electric hot water systems. If your hot water system is too small, you may run out of hot water. Tariff 31 can also be used for heat banks and as a solar hot water booster. This is another tariff dedicated to hot water systems. Under Tariff 33, electricity is available for 18 hours each day, or pretty much all times except peak demand periods in the morning and early evening. Tariff 33 is more versatile than Tariff 31 as energy is supplied for longer hours. Tariff 33 is suitable for smaller electric hot water systems, pool pumps, washing machines, dishwashers, or just any appliance you don’t need running in peak periods. Tariff 33 power rates are around 19 to 23 cents per kWh. That’s cheaper than Tariff 11 or 12, but a little more expensive than Tariff 31. Once again, Tariff 33 rates will only apply to the electricity used by your nominated appliance, while the rest of the home’s usage will be charged at Tariff 11 or 12 rates. This is a new controlled load tariff only available to smart meter customers signed up to Tariff 14. Once again it has restricted operating hours, however the Smart Control rate is generally lower than standard controlled loads. Ergon Energy is both the retailer and the distributor for regional Queenslanders. Customers on the Ergon Energy Network have access to a similar list of electricity tariffs as customers on the Energex Network (see above). Most customers with Ergon are on Tariff 11. Only a few customers are on Tariff 14 due to the low uptake of smart meters in regional Queensland. Electricity tariff prices are regulated on the Ergon Energy network. Prices are typically updated annually on July 1. There are four electricity tariffs for Queensland business customers – Tariffs 20, 22, 41 and 91. The electricity needs of a business will be quite different to that of a residential customer, so it makes sense that businesses have their own set of tariffs. Tariff 20: Tariff 20 is the business version of Tariff 11. A standard flat rate of around 26 to 30 cents per kWh is charged, depending on the provider, for all electricity usage regardless of the time. Tariff 22: This is the time of use tariff for businesses. A higher rate of around 29 to 33 cents per kWh is charged for electricity usage from 7am to 9pm on weekdays. A lower rate of about 25 to 27 cents is charged at all other times. This tariff may work out as the cheapest option for businesses that mostly operate on weekends or late at night. Tariff 41: Designed for large businesses, this tariff charges a very small base rate. When the site demands a lot of electricity, however, the rate increases dramatically. Tariff 91: This is the tariff for supply to unmetered sites, such as some construction sites. Understanding energy tariffs is the first step to cutting your electricity costs. If you are on a single rate, simply look for the cheapest Tariff 11 or 12 charges. If you also have a time of use tariff, make sure you take these costs into consideration, too.